Conservation Nature Center - PWArchitects, Inc. 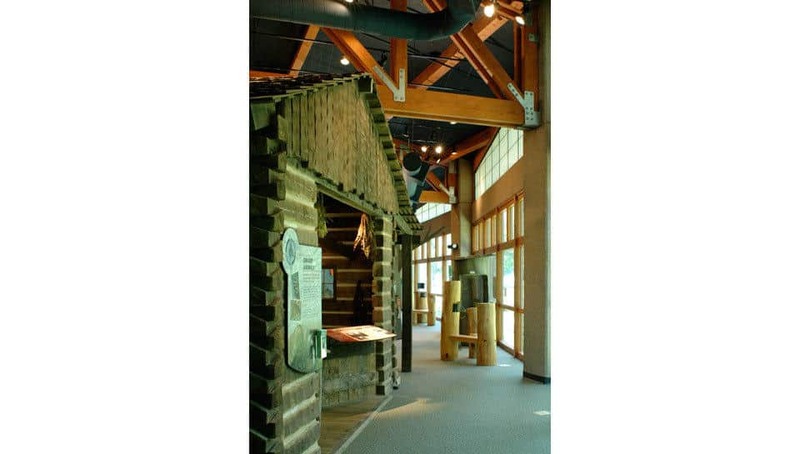 The Conservation Nature Center, located within the forests and park lands of the 189-acre Cape Girardeau County Park North and adjacent to the Missouri Department of Conservation’s Regional Headquarters, is the sixth such facility in the State of Missouri. 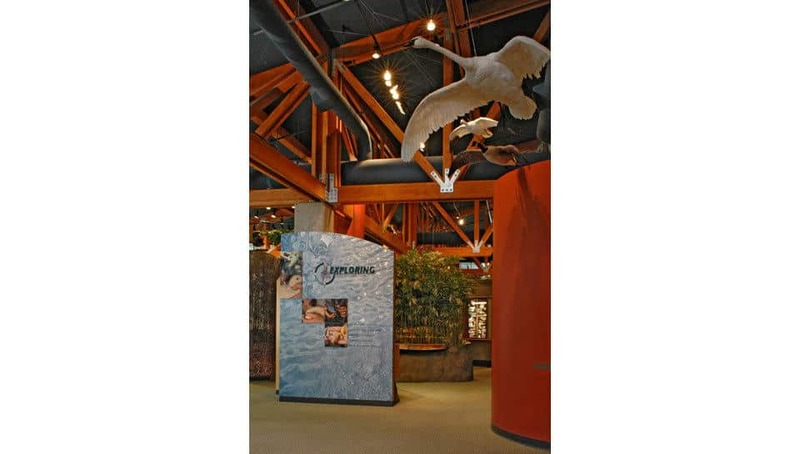 The Missouri Department of Conservation’s goal for the Nature Center is to interpret the history and significance of the fish, forest, and wildlife resources in Southeast Missouri while educating students and visitors concerning the need for skills involved in fish, forest, and wildlife conservation. 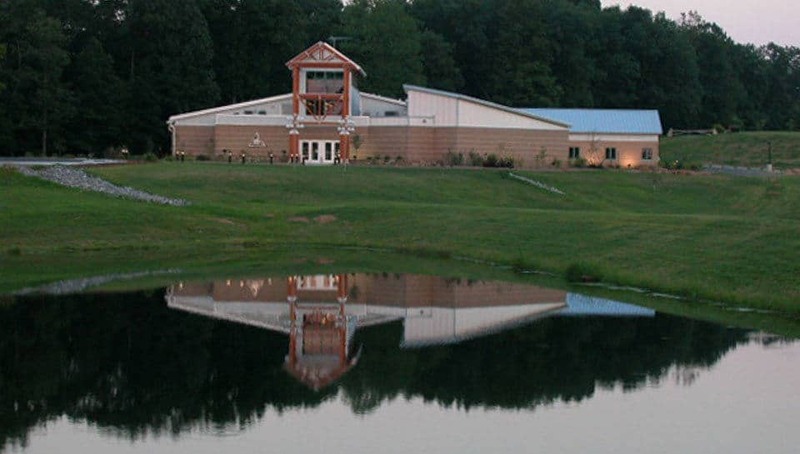 The Missouri Department of Conservation (MDC) expressed that they wished for the Nature Center to highlight the diverse natural habitats of Southeast Missouri, create avenues for conservation awareness and education, provide opportunities for quality outdoor experiences, and set an example of conservation ethics. 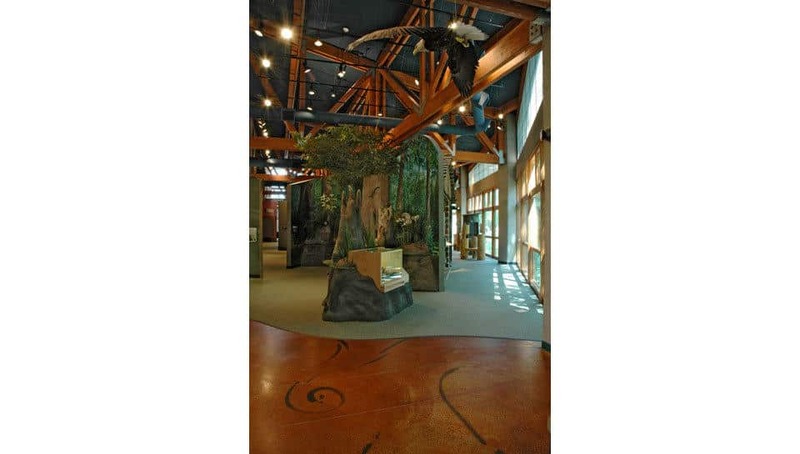 The 20,000 square foot facility, completed in May of 2005, includes indoor and outdoor interactive exhibits, outdoor learning stations, gardens and landscaping, discovery trails, wildlife viewing areas, a conservation resource room and access to future mobile conservation units. 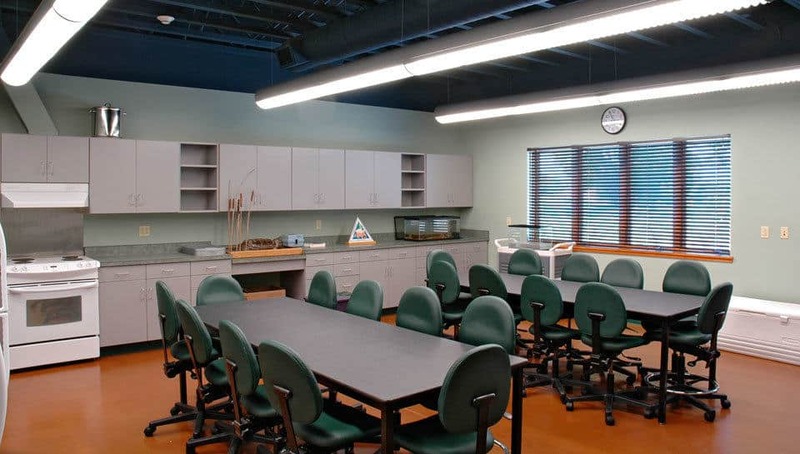 The Nature Center also includes administrative spaces separate but accessible from the public side of the facility. A large work room, and offices for volunteers and naturalists are located closer to the public side. Whereas, additional offices for the department’s biologists are located further away with a private entrance and mud room. 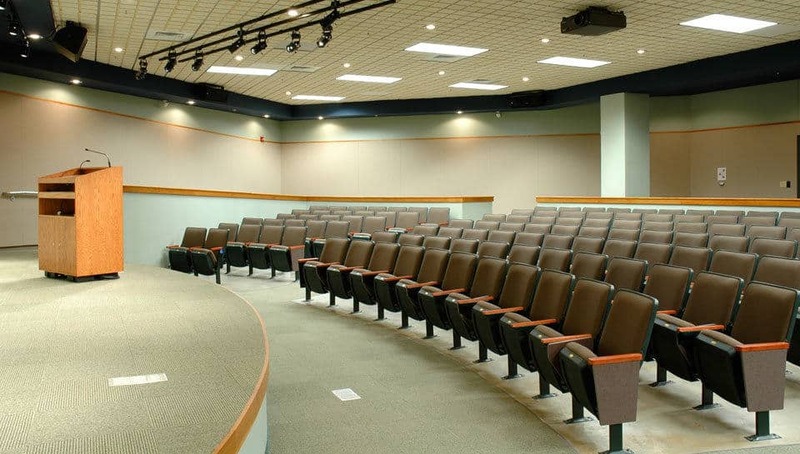 The administrative space also has restrooms with showers to encourage staff participation in recreational activities, a large work area for the storage and assembly of exhibits and a loading dock conveniently located for easy access to traveling exhibits. From the outset of the project, t was the intention of the design team to use sustainable design practices and materials in the design of the Conservation Campus and Nature Center. 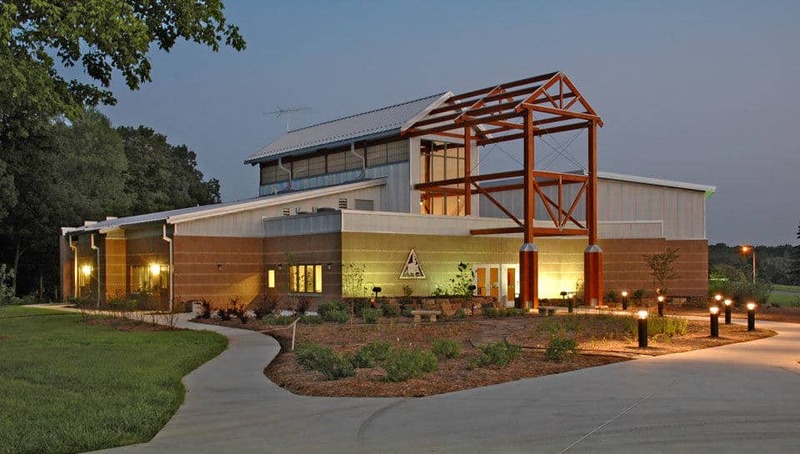 They were also determined to have the building remain consistent with the values of the MDC and design the Nature Center building to serve as an educational model of conservation practices. A textured concrete wall beginning outside of the Lobby entrance and extending through the building is punctuated at the top by a “spine” that brings natural light deep into the interior of the building. The wall also provides natural ventilation and solar heating, and creates additional interpretive opportunities.The roof deck-ceiling is a structural insulated panel system over an open web structural framing system made of recycled wood products. The use of recycled indigenous materials allows the opportunity to promote the wise and creative use of natural resources. The exterior roof cladding is standing seam metal manufactured with recycled metal. Roof overhangs and other shading devices were used to control sun exposure. Windows are sized and placed to maximize solar gain in the winter, minimize solar gain in the summer, maximize views in occupied spaces, and take advantage of prevailing summer breezes for natural ventilation. Casement type windows were used to help guide the summer breezes into the spaces when weather allows. Locally available products to minimize shipping. Storm water infiltration was managed on-site utilizing silt detention basins. A French drain also collects building and roof runoff directing it safely to prevent erosion. Translucent glazing was utilized to allow natural light into the space while minimizing the effects of direct light. 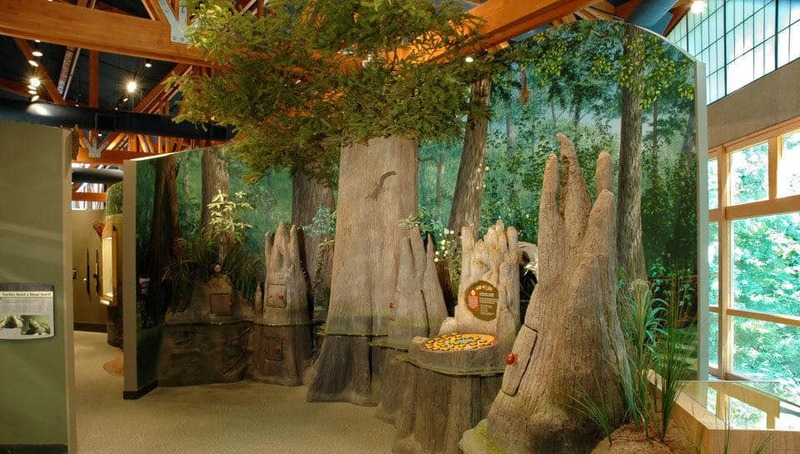 This allows the space to be lit naturally while minimizing the heat gain and detrimental effects of the direct rays on the exhibits. 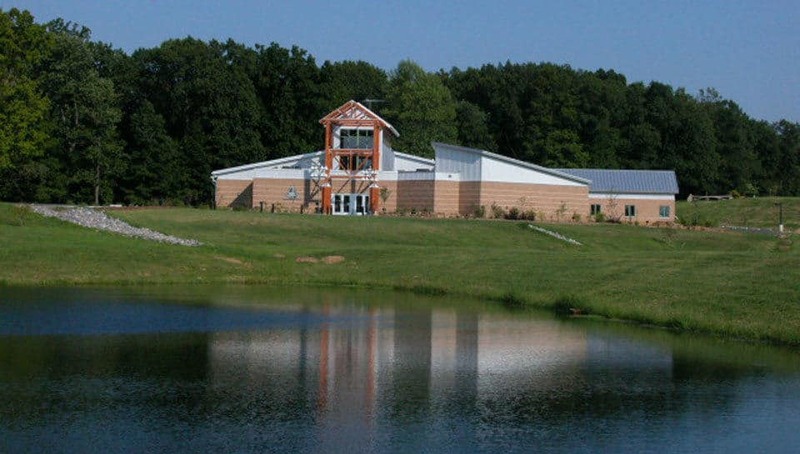 "We are especially pleased that the building [Cape Girardeau Nature Center] itself is designed not only to conserve energy and other natural resources, but to serve as a learning tool, offering opportunities to educate about conserving resources."